Dr Alexander Rabinovich of Oral Surgery San Francisco participates in medical missions abroad to perform free facial reconstructive surgery for children in need. He has completed surgical missions for two prominent non-profit organizations. Dr. Rabinovich volunteers his time and surgical skill to Healing the Children, in the Spring of 2007, and most recently in the Fall of 2010 a mission with FACE TO FACE, the humanitarian arm of the Educational and Research Foundation for the American Academy of Facial Plastic and Reconstructive Surgery (AAFPRS Foundation). 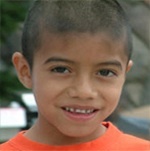 Healing the Children envisions a world where every child has access to medical care. The challenges have never been greater: the ever changing healthcare system in the United States, the shortage of available funds to non-profit organizations, and the ever increasing needs of children here and around the world. Until our vision can be realized, our goal is to be a powerful instrument of healing. We hope to change the world for all the families. the passionate commitment to take action. The Educational and Research Foundation for the American Academy of Facial Plastic and Reconstructive Surgery, a 501(c)3 organization, was founded in 1974 to stimulate study, research, and scientific advancement of facial plastic surgery and all related basic sciences. It is devoted to expanding the knowledge and improving the skills of facial plastic and reconstructive surgeons in all corners of the world. FACE TO FACE is staffed by medical personnel – facial plastic and reconstructive surgeons, nurses, speech pathologists and anesthesiologists – who donate their time and expertise, frequently for two weeks at a time. Members of the FACE TO FACE delegation have, for example, helped a two-year-old toddler in Russia abandoned by her parents at birth because of a congenital facial deformity. They have administered to a twelve-year old boy in a war zone in Croatia where he sustained severe facial trauma after playing with a loaded rifle. And they have cared for women in this country where domestic violence has wreaked havoc on their lives both emotionally and physically. These are faces that you have seen on the news and sometimes in your own community. Our surgeons travel all over the world, but their mission is the same wherever they go: they treat one face at a time.